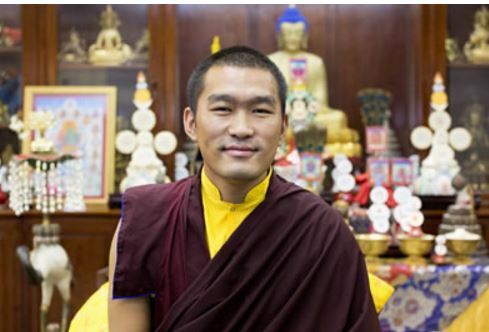 Thaye Dorje, His Holiness the 17th Gyalwa Karmapa, shares the following message on the occasion of the 2018 United Nations International Day of Peace. On this United Nations International Day of Peace, I would like to offer a message to all those who are facing difficulties in their lives. Whether you have lost loved ones, survived hurricanes, typhoons, floods or famine, or whether you are facing storms in your personal lives or at work, it may feel that peace is a distant dream, and that it is somehow unreachable. From one perspective, peace may be closer than you think. When I say ‘peace’, what do I mean? Perhaps one way to describe it is in terms of a bond, a devotion and love so great that it has no limits. In life, it is often our greatest challenges that lead to the deepest devotion. The tragic death of the great master Gampopa’s wife and children, and his devotion to the Buddha dharma, are indivisible. Just as the loss of the great master Milarepa’s family and home, and his spirituality, are also intertwined. Peace and chaos are inseparable. Many of us who live in relative comfort may never experience the deep bond that is so often seen in stories of resilience and survival. So while we pray for the end of suffering and its causes, we do not label suffering as ‘bad’ or ‘good’ for we can see that those who suffer may have insights that we cannot experience, and that even in the midst of tragedy and heartbreak, the seed of limitless love can be sown. We are all different, and how you apply these thoughts is up to you. But try not to force any connection. For example, when we listen to the songs that others listen to, sometimes there is no resonance in our hearts. Let’s not force it, but instead listen gently to their songs and learn from their experiences. We need to learn our own way to achieve peace. I hope that this message provides some comfort to you and helps you develop the courage that you need to move on with hope in your hearts. I pray that Karmapa, Sangyumla and the new born baby (dungse) to all be in good health and long life. It was expected that September was the month for birth, we all waited patiently and finally baby is born! 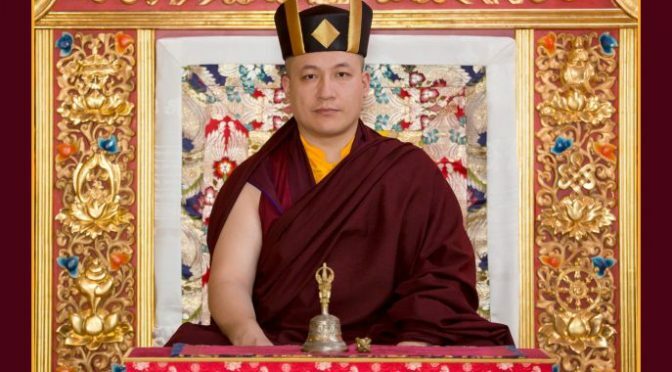 May we all take this moment to reflect on our Gurus Karmapa and Shamarpa’s wisdom and compassion. This moment, the very lifetime we are living in, is historic and we are all witnessing it. One should be proud and rejoice on ones own karma for having to experience this and of course to always keep dharma in heart and apply. May our devotion to Guru bless us to one’s mind.